The forthcoming Jharkhand Assembly Elections are scheduled to be held in total five phases, commencing from 25th November and ending by 20th December 2014. The major parties in the Eastern state include the frontrunners Bharatiya Janata Party (BJP), Indian National Congress (INC), and the popular Jharkhand Mukti Morcha (JMM). Date for counting votes is scheduled on 23rd December, 2014. Ganesha predicts that these elections will mark a 'vote for change' in the mineral-rich state. The senior GaneshaSpeaks.com Astrologers add that, "Surprising results and events are foreseen in the upcoming Jharkhand elections, especially after the completion of 3rd phase of voting in the state." The Horoscope shows that the voting with the signifier of mind, moods and mental state Moon placed in the rebellious Zodiac Sign Sagittarius and in the Moola Nakshatra. This goes to say that people will be in a definite mood to bring a change, or shall, at the very least, be thinking very differently as they make a beeline to cast their vote. The stars also claim that the ruling party will be facing a tough challenge in these upcoming elections. The respected portal's Astrologers also looked at the individual party Charts to ascertain what lies ahead for them. They say that, in Bharatiya Janata Party's Chart, the transiting Moon will be passing through the 7th House in Trine with the 10th House Lord Jupiter, which indicates voters will be more in favour of the BJP. Furthermore, the Party Chart shows that the Bharatiya Janata Party is currently passing through a strong Sun–Jupiter–Sun period, which will help the centre-reigning party attract voters significantly. However, in BJP's Chart itself, the transiting Ketu in its 10th House, passing over the party's Natal Sun may still create stiff competition and resistance. On the other hand, the study of Congress Party's Chart reveals that the grand old party of India is right now passing through a Jupiter-Mercury-Moon period. Problematic point is that the malefic planet Rahu is moving over the party's Natal Moon and Natal Rahu – creating a very challenging planetary situation. So, it is a tough period for the Congress party. The stars further suggest that the competition will be extremely close and the Congress leadership will face various challenges both within and outside the party. 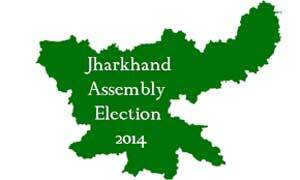 The overall vote share of the India National Congress in Jharkhand is also likely to come down significantly. Ganesha also looked at the foundation Chart of JMM, the trouble-ridden state's most notable regional political party to reveal that the transiting Moon will be moving over JMM's Natal Rahu and Jupiter. This is not a positive indication, as it may lead to confusion and muddling of ideas about the regional party. Also, the Rahu Bhukti may not allow the otherwise strong party to gain more votes in these upcoming elections. Overall, the stars indicate that the Jharkhand Mukti morcha may be left struggling to hold its ground. Nonetheless, JMM's traditional vote share may remain intact. Considering all the aspects and Chart, in conclusion, the expert team of Astrologers at GaneshaSpeaks.com states that there will be a stiff competition among all the participating political parties in Jharkhand Assembly Elections. As aforementioned, people will be actively seeking change, and there may some surprising results. Also, some seats may have to be decided by very low winning margins; Congress looks set to suffer at the hands of planetary malefics, with some of the prominent INC leaders in the state losing their seats. BJP may emerge stronger and might end up getting its highest ever seats in Jharkhand assembly elections.. JMM will emerge as one of the strongest regional parties, but overall may fail to considerably enhance its seat tally.